There are a couple of very exciting events coming up in London over coming days. Tomorrow sees the Girls and Boys, Come Out to Play puzzle hunt, starting in central London. This site has previously discussed the event and registration is long closed, so if you’re interested but don’t have firm plans then your only hope is to try to find a team looking for another member. (Perhaps posting to the Facebook page might do the trick, but it’s mighty close to the event already.) If you’re reading this and will be there tomorrow, do make yourself known to me at the event; the weather looks fair enough that I’ll likely be wearing a purple T-shirt and jeans. Whether you’re there or not, there’s also Puzzled Pint on Tuesday, also in London. No registration is necessary for this, though a simple but thematic location puzzle has been posted, which needs to be solved in order to find the location of the pub at which the event will be held. Recent months have seen about ten teams take part at the London event, so the pub has been chosen to easily deal with an additional 50-ish-ish visitors drinking and solving. 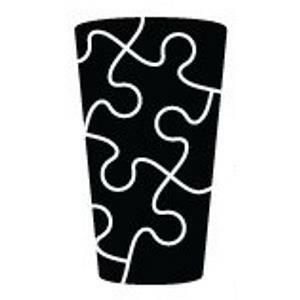 Puzzled Pint is a free-wheeling, deliberately accessible contest held between teams of three(ish)-to-six(ish). Either turn up with a ready-made team or turn up and form a team on the night. The organisers will be there between about 7pm and about 11pm and will hand each team, when they are ready to begin, probably four or five puzzles to solve. Hints are freely and readily available, with the emphasis being on fun and every team having getting as much help as they want. The puzzles are free; the pints aren’t. One of the excitements of Puzzled Pint is that the same event is taking place in cities throughout the English-speaking world. For the longest time the event took place only in Portland, then spread to Seattle. Over the last ten months, the number of cities has risen from two to three to five to six, but there’s never been a jump quite like this month’s as there will be ten locations – London and nine in the US, with new entries being Boston, Washington DC, Austin (all of which have strong DASH traditions, so surely should be quick to pick up the Pint habit) and a second Seattle loation, “Seattle Eastside”, as the first has grown big enough to split in two. I’ll be at this Puzzled Pint and it’ll only be my second London event, though my wife is a regular. Again, I can’t wait – and, again, if you’ll be there, do let me know. It should be great! Two days ago, this site posted about the “Girls and Boys, Come Out to Play” puzzle hunt taking place in London on Saturday 6th September. This site will be posting about this event more and more, and makes no apology for this. If you liked DASH in London, you should get extremely excited about this. If you like Puzzled Pint but want more, this may fit the bill really well. As discussed, the people behind this hunt come from the The Game tradition of puzzle hunts. If you’re at all excited about the prospect of playing the game of your life, a truly adventurous and spectacular puzzle hunt, then you need to support the September hunt if at all you can. September’s one-day event is just a step on the way to the full experience, but it will come from the principles and thoughts and background of the most intense games in the world. The biggest difference between what people can expect to see in the hunt next month and what people may have seen at, say, DASH is a sense of location. As DASH is a global event, there can be little or no sense of trying to tie the locations at which the puzzles happen to the content of the puzzles themselves, because the 14 cities will all find their own sets of locations. As Girls and Boys is a one-time event in a single location, the locations can be selected with the puzzles in mind – or, alternatively, the puzzles can be designed to take advantage of the unique properties of the locations along the way. There is a sense in which this sort of puzzle hunt is slightly less about the puzzles than, say, a DASH, which has relatively little to offer other than the puzzles – but, generally, what puzzles they are! The appeal of a puzzle hunt of this type is not just the puzzles, it’s the adventure. Cool puzzles, yes, but also interesting locations, and a more intricate, specific storyline. It may well be that some of the encounters along the way are more… challenges rather than puzzles, and that’s cool too. Lisa has bags of experience both as a player and a game organsier, and the potential players of the UK should be very grateful that she, and her friends, are bringing their minds and experience for the benefits of the playing community in the UK. There is some enlightened self-interest behind it, though, as the hope is that there might be some even bigger and better games still in the UK at some point down the line, possibly as once might have been the case a decade ago – and, from Lisa’s point of view, perhaps she’ll get to play in some of them, rather than having to be involved with running them all the time. It’s clear that the hunt in September will have considerable quantities of long-established best practice behind it, plus the sort of practical experience that comes only from having been there and done that, and (on-and-off!) three years’ worth of thought and love put into it. It sounds like it won’t be the game that they were expecting to run three years ago, but on its own terms, it’s practically guaranteed to be sensational. Get excited, get your team together (get into the comments section below for teammates, perhaps… or as it’s a London event, perhaps the next Puzzled Pint in London, a week tomorrow, might also be fertile ground?) and get your application in within the next week and a half. More exciting news about London soon, hopefully! Help catch her on 6 September 2014… Be quick! Applications close at 23:59 15 August 2014. Teams of up to 6 people walk around London and solve puzzles in pubs (and some other places). The event lasts from morning to evening—10am to 8pm—and requires about 3 miles of walking. It costs £40 per team. Since space is limited ((to, possibly, 20 teams)) there is an application to play. (…) 1. Complete the two pre-puzzles (…) 2. Write a nursery rhyme about your team. (…) Applications are due 15 August 2014 at 23:59. We will notify teams by 20 August. While this London event is not that ambitious, being just – just! – a 10-hour event, it’s run by a team with experience of just about everything that the capital-T capital-G The Game community has to offer, and perhaps this might be a step along the way towards featuring games of that degree of extremity on European shores somewhere down the line. 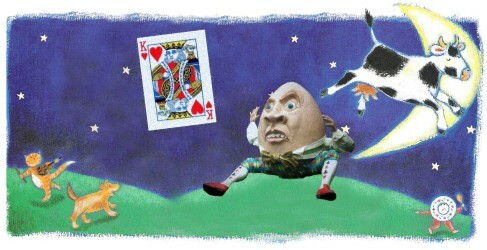 While DASH goes out of its way to be accessible, the practically essential space limit on the game does necessitate the pre-puzzles and creative challenge as a barrier to entry – but this is part of the tradition as much as anything, set to ensure that the people who get to play know what they’re getting themselves into. It they’re not fun to work on with your team, perhaps you might not enjoy the actual event itself. Accordingly, with the longer scope of the day, expect this to be a slightly more severe challenge than DASH. On the other hand, know that the team behind this come from a tradition of knowing how to keep things fun and keeping teams sufficiently challenged to keep them in flow – challenging enough, but not so challenging to be too too frustrating. Nevertheless, when you get your team together, prepare to gird your loins. This may very well be sensational. Well-heeled readers from further afield might also note that this event is one week before the Armchair Treasure Hunt Club’s annual hunt in Oakham, with a hunt open to non-members. Consider yourself cordially double-dog-dared to travel to the UK for them both, and consider the list of exit games as possible activities to fill up the week in between!